Imagine giving a child a book without inspiring a love for books through fun, interactive, kids-relatable strategies. Plays, characters, songs, pictures...this is where moms and teachers start before they work on reading strategies. Teaching kids to love and eat fresh produce should be approached the same way! 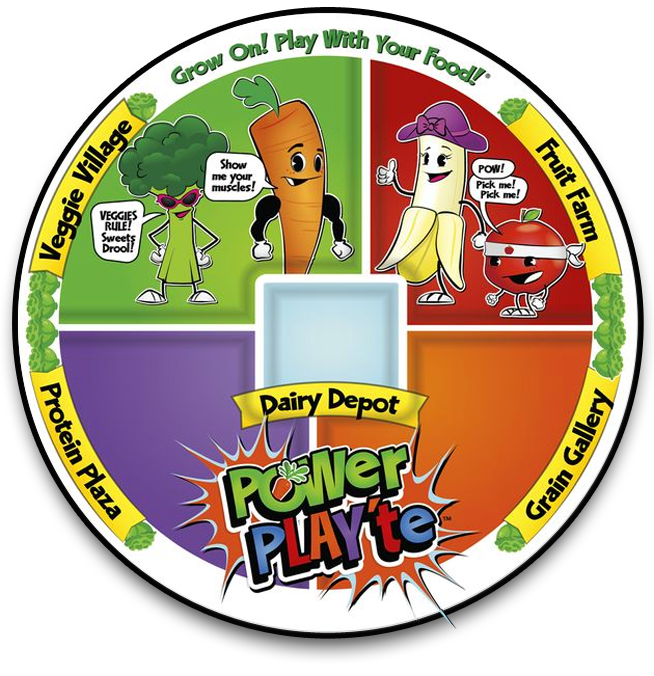 The POWer PLAY'te™ is a kid-friendly paper plate with bright, fresh colors and funny & lovable characters designed to encourage kids to eat more fresh produce. The strategy behind this program is to encourage children to make nutritious choices through PLAY! There are 5 sections with playful names on the Play'te to introduce eaters to the various food groups. By taking children's normal role-playing strategies and incorporating them with fresh produce, kids will have fun and will associate fresh produce with playtime! 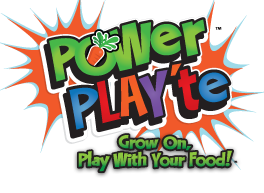 The concept of the plate and the POWer PLAY'te™ collateral materials is that the fresh produce on the PLAY'te wants to take over half the plate. This message is accomplished by using everyday kid sayings and situations to create a funny, "easy-to-relate to" kids campaign. The PLAY'te is sectioned off to resemble the USDA's Choose My Plate. Each section encourages the eater to fill it with fresh food with funny lines from the characters. The program is being launched in schools to coincide with the new USDA mandate that every school lunch plate includes fresh produce.